Rock ‘n’ Roller Coaster Starring Aerosmith turns 15! 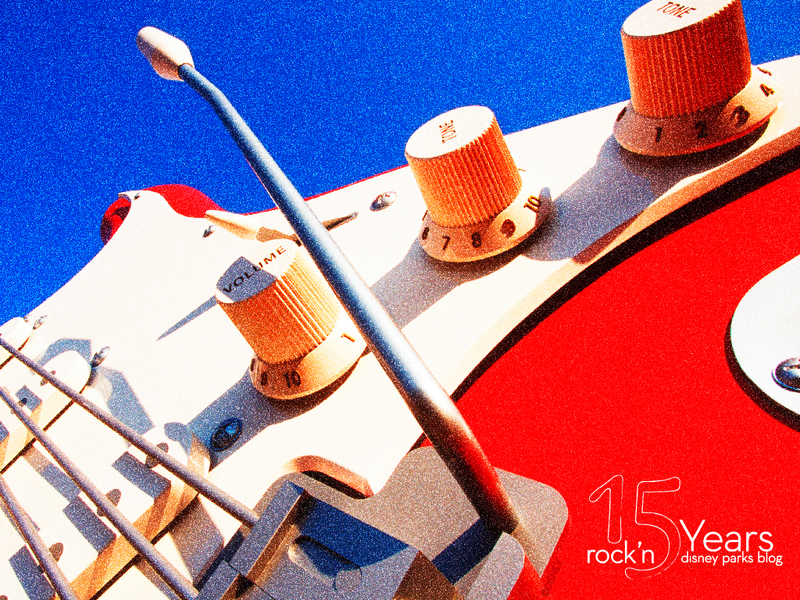 Today we’re celebrating the anniversary of one of my favorite attractions – Rock ‘n’ Roller Coaster Starring Aerosmith. The attraction originally opened its doors at Disney’s Hollywood Studios on July 29, 1999. In case you haven’t experienced it yet, the attraction lets you tour G-Force Records, the music studio where Aerosmith is holding a recording session. When the band heads out to a show, they invite you to travel to the show in a super-stretch limo that speeds from 0-57 mph in just 2.8 seconds. Better yet – each limo is equipped with an audio system consisting of 125 speakers, 24 sub-woofers and more than 32k watts of audio amplifier output power and each car broadcasts different Aerosmith songs. The attraction’s grand opening on July 29, 1999 featured a dedication ceremony with Aerosmith. The giant electric guitar that serves as the attraction’s icon measures 40 feet tall. There are more than 900 speakers throughout the attraction. The attraction’s track measures 3,403 feet. Elements of the attraction were manufactured as far away as Netherlands and Germany. Aerosmith band members Steven Tyler and Joe Perry took part in re-recordings for the attraction. The entire band appears in the attraction’s preshow film. The band’s manager who appears in the preshow was played by actress Illeana Douglas. The DJ who is “broadcasting live” from the Aerosmith concert is classic rock DJ Uncle Joe Benson. The look of the super-stretch limo was influenced by the 1962-era Cadillac. Each super-stretch limo can fit 24 passengers. Each guest is surrounded by five speakers – four around the head and one subwoofer under the seat. Each vehicle features a different Aerosmith song or medley. Tracks are: “Nine Lives”; “Sweet Emotion”; a “Back in the Saddle”/”Dude Looks Like a Lady” medley; a “Love in an Elevator”/”Walk This Way” medley; and a “Young Lust”/”F.I.N.E.”/”Love in an Elevator” medley. Guests experience a g-force between 4-5 entering the first inversion on the track. The attraction was the first coaster at Walt Disney World Resort to feature multiple inversions. Singer/songwriter Chris Daughtry, lead singer of the band “Daughtry,” visited Disney’s Hollywood Studios on Wednesday, 11/13/13, and stopped by the Rock ‘n’ Roller Coaster Starring Aerosmith attraction. 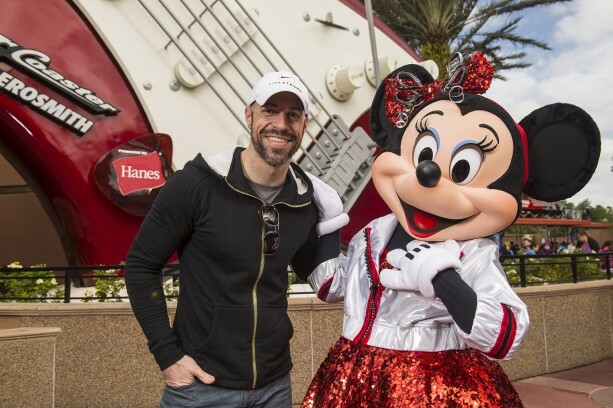 While there, he posed for this photo with Minnie Mouse. Ever fashionable, Minnie was decked out in her best rock and roll attire. Daughtry and the band are busy these days and are currently preparing for the November 19th release of the newest album.